You can now ask your website users for permission to show notifications even when they’re not on your site via Google Chrome and then set up web-push notifications to users who allow. Here are the instructions to get started. 1. Go to http://app.connecto.io and create an account. 2. Install Connecto’s snippet on your site pages. You’ll need to place the below JS on all pages of your site where (if a user lands) you want to ask notification permission. You’ll need to replace LicenseKey with your license key available on the settings page. B. Download Chrome Push Package. Copy other two files (connecto_manifest.json and connecto_service_worker.js) to the root directory of your web server. These should be accessible via https://example.com/connecto_manifest.json and https://example.com/connecto_service_worker.js respectively if your website is https://example.com. Update the “gcm_sender_id” in connecto_manifest.json. 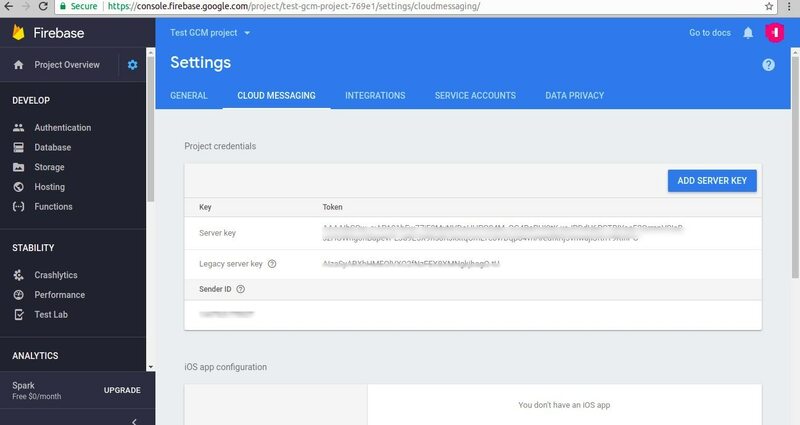 “gcm_sender_id” is the Sender Id which you will find in firebase project created for GCM API here. (For more details refer to this link. )Refer to the below image for exact position of sender Id. Finally, you’ll need to call _connecto.initPushRegistration() from JS on the client side to ask notifications permission. This call can be placed in one of the JS functions that you use or can also be placed on load of connecto snippet like. Once these steps are done you’ll start receiving subscriptions which will be logged in your dashboard. And you’ll be able to send Chrome notifications anytime to subscribed user base. Connecto also allows your to tag your users and send segmented Chrome notifications tagged users. Please reach out to us at support@connecto.io for any help.